When it comes to food, Scotland certainly makes the most of its rich lands, seas and skies – and our restaurants serve up years of tradition with pride, flair and bursts of flavour. 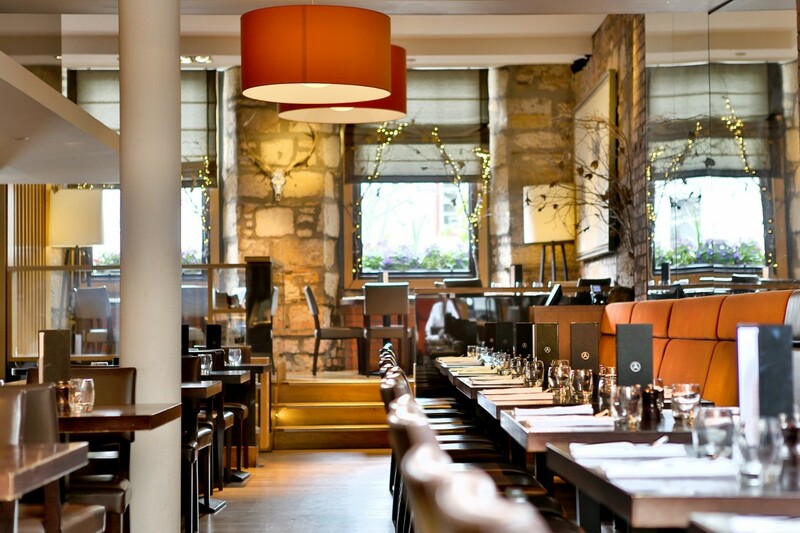 Whether you’re after a simple fish supper or a full-blown Michelin starred journey, get your chops around some of the best Scottish cuisine at these buzzed-about dining destinations. Rurally set restaurant in whitewashed cottage. Keenly run by husband and wife team. Weekly changing menus feature fresh, seasonal local produce. Simply cooked and presented Michelin star cuisine. Booking essential. Spacious dining room with baronial feel. Elegant chandeliers; large pottery cockerels. Classical modern cooking with a strong Scottish base. Excellent wine list. 18th Century Coaching Inn deep in the Ayrshire countryside with a contemporary interior. Robustly flavoured brasserie style dishes from the modern British repertoire are the restaurants forte. Produce is seasonal and sourced locally, such as 36 day aged Scottish steaks from the grill as well as comforting classics. 20 minutes drive from Prestwick and Turnberry. 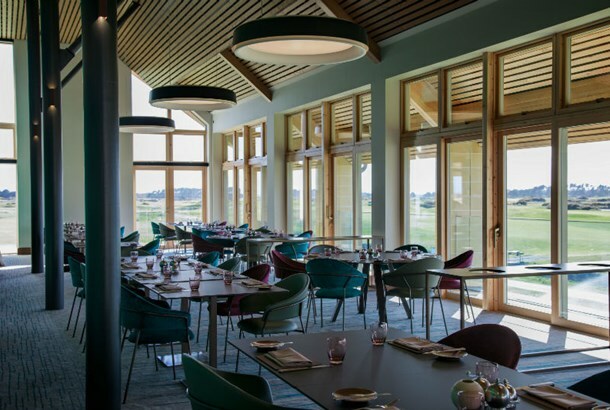 Carnoustie lies at the heart Scotland’s great larder. Our menu makes the most of that. Directed and guided by Roy Brett, of acclaimed Edinburgh restaurant Ondine, it celebrates the best ingredients from the land and sea. Roy has taken our chefs on a journey of discovery, getting to know our local suppliers and understanding what they do best. They are our partners bringing you the very best this area has to offer. From Arbroath Smokies to Angus Beef and East Coast Lobster we want to put this area on the plate… and on the map. 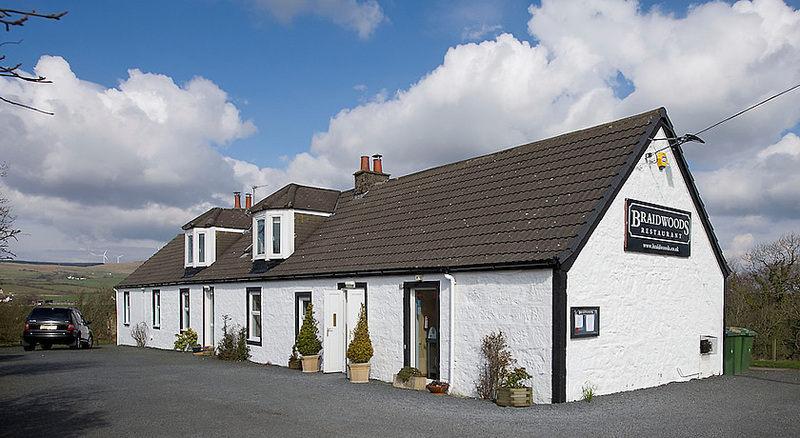 Located within Greywalls hotel a stone\'s throw away from the clubhouse of Muirfield. The Roux name is perhaps the most famous in British high-end dining. Expect top quality French cooking with a wine list to match. What could be better than following your golf over the hallowed turf of Muirfield with dinner Chez Roux. Hard to beat. Finest quality ingredients sourced locally from East Lothian and Scotland and an award winning wine list. Ducks Restaurant is an intimate two AA Rosette fine dining restaurant with a long history originating in Edinburgh\'s New Town, with just ten tables and a cosy fireplace; it is one of the best in East Lothian. Busy neighbourhood favourite serving excellent quality traditional Italian home cooking. The best restaurant in North Berwick. Extremely friendly service will always make you feel welcome. Mainly Italian based wine list to cater for all budgets. Worth a detour. Well respected Scottish seafood restaurant in trendy Leith. Great atmosphere and affordable wine list. Scottish sourced lobsters, Scallops, Oyster and Langoustine. Affordable wine list and great fun atmospheric restaurant. Weekend booking advisable. Simply put. The best restaurant in Edinburgh! Treat yourself to fine French/British one Michelin star cooking. Although, at the top end of the market, good value set lunch and dinner menus are available. As you would expect an excellent wine list to accompany exceptional cooking. Booking essential. The only Michelin star restaurant in the highlands. Precise accomplished cooking in a modern Scottish style. Dining room overlooking 18th Century garden. Locally caught salmon and highland venison a speciality. Excellent desserts and extensive wine list. Treat yourself after battling around Nairn or Castle Stuart. You deserve it! Nestling on the banks of the river Ness. Stunning location, cosmopolitan and stylish atmosphere. Modern Sacottish cooking with a Mediterranean influence. Worth a detour. In the heart of St Andrews at 127 South Street, The Adamson is the perfect place to eat, drink and socialise. Throughout 2018, The Adamson is creating a set of seasonal menus as part of the restaurant’s dedication to using the freshest ingredients and commitment to sustainability with our suppliers. We continue to support & train new talent entering the industry and participate each November in the St Andrews Food & Drink Festival. Award winning fish and chips on top of the pretty fishing harbour of Anstruther. Sit in the restaurant or on a summers evening eat outside overlooking the ancient harbour. Regularly voted the UK\'s best fish and chips. Cheap, cheerful and a proper British experience. Newly appointed Michelin starred local restaurant. Husband and wife run this homely, modern restaurant with local artwork for sale on the walls. Classical style of cooking employs notable use of good local produce. Well worth the detour! Located within 100m of the R&A. A four sided glass box on top of the harbour wall. Top quality locally caught seafood, served in a busy bustling environment. Amazing place to watch the sunset over St Andrews with a cold glass of something refreshing. Worth the taxi if you are staying in St Andrews. A restaurant of renown serving mainly seafood but with excellent Scottish meat also. Tucked away down cobbled lanes and not the easiest to find. However, treat yourself after your round. Warm ambience with fires and exposed brick and stone. Bold, original cooking, more elaborate in the evening. Six miles from St Andrews located in an extremely old coaching Inn, with small interlocking rooms. Very quaint. Specialities include freshly caught local seafood and game. Modern Scottish classic dishes available. French influenced wine list. Highly reccommended.